Members of Legion of Mary at the 85th Celebration in Port Elizabeth. After opening prayers and rosary in the hall, a Mass was celebrated. Lead celebrant Bishop Vincent Zungu of Port Elizabeth encouraged the Legionaries to “go out as Paul did and spread the love of Christ”. After the Mass, parish priest Fr Joslan Goji OFM welcomed guests and was followed by addresses from a variety of speakers. Among them was Mgr John Clarke, who spoke on the history of the Legion of Mary. 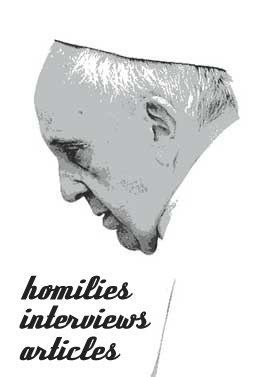 He encouraged Legionaries to open up more groups in all corners of South Africa. Legion of Mary spiritual director Fr Anthony Padua gave a talk on commitment and devotion to Our Blessed Mother. “When the going gets tough, just pray the Rosary and Our Lady will guide you,” he said. Sr Cathy Lessing, the president of the Legion’s East London curia spoke on unity and commitment. She urged the legionaries “to always be humble; to have a zest and zeal to go out and make contact with others in kindness and love”. Br Sagen Moodley spoke on recruitment of laity to the legion and explained that lay Catholics “can get involved in assisting their priests who are so overworked in their parishes”. They can do so by “going out in twos to visit new parishioners, hospitals, doing a census of the parish and so on” and by “being there for the spiritual needs of the parish”. ‘There has been a concerted effort to try to recruit more members to the society,” Ms Pregnolato told The Southern Cross. The Legion of Mary is also conducting visits in areas like Namibia, Oudtshoorn, George, Knysna, and Mossel Bay in order to “strengthen ties with the outlying areas’’, she explained. Noteworthy future events for the legion include the Cape Town archdiocese’s 85th founder’s anniversary in 2021, with plans already underway to mark the occasion.